Мы recommand использованием Internet Explorer (версии 6.0 или более поздняя версия) для доступа к веб-интерфейс управления. Вам также потребуется установить Active X файлы с компакт-диска, чтобы иметь возможность просмотреть камеры. Для передачи изображения с хорошей скоростью и качеством, захватил видео сжать в стандарт H.264 для экономии трафика и минимизации потере детализации. 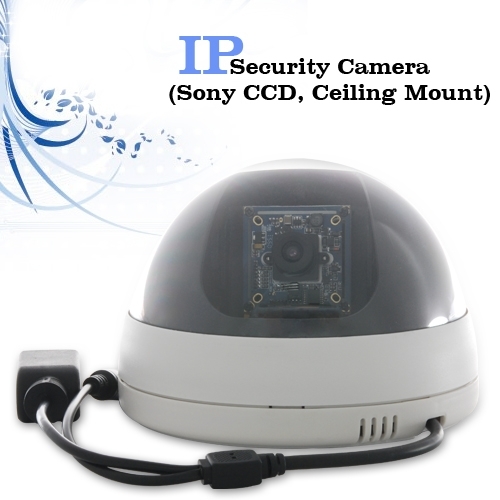 IP stands for Internet Protocol, meaning you can watch the video feed from this camera over the internet! The device is not wireless/cordless, you will need both power and ethernet cables. Do you always have to always keep the computer on to be always on guard? The computer does not have to be switched on, the camera has its own power supply. I have connected the IP camera to my computer, but the computer says the cable is not connected? Please make sure that you are using a cross connection ethernet cable, using a normal ethernet cable will cause the mentioned problem. What is the default username and password of the software? 888888 is the default username and password. What is the System Auto Recovery feature? The System Auto Recovery feature means that after an electric power interruption, the system will automatically return to the state just before the interruption occurs, more importantly, it will resume the Internet connection so you can continue your remote video surveillance without having to setup the network again. Is this IP Security Camera like ones I have seen from Samsung/Panasonic/Vitek/IQ/Messoa Yes, it is the same as those, except the I63 comes with a factory-direct low wholesale price, meaning it only costs 1/3 the price!